Two of America's most iconic beach towns, Santa Monica and Venice’s unique blend of surf, sand and sea brings together locals and tourists alike. If Santa Monica is the popular girl in high school, then Venice is her cool hipster cousin. If beach living is your thing, you won't want to miss these two Westside neighborhoods. Hang ten, dude: you're over on the westside, where biking down the beach, cruising down the Pacific Coast Highway, watching the body builders at Muscle Beach and riding the ferris wheel at Pacific Park are just a few of the outdoor adventures to be had. Jump on a Bird and make your way down Ocean Avenue then hop off take a peek at the Venice Skate Park & Boardwalk, where you're guaranteed to see someone catching some serious air as they show off their skills for onlookers. It goes without saying that the main draw of the westside is, of course, the beach. Wind your way down to the PCH and hit Will Rogers State Beach, the home of those iconic blue lifeguard stands you've probably seen on Baywatch. If you're looking to get a little less sandy while you're out and about, take a stroll around the Venice Canals and picture yourself living in the tiny bungalows that surround them (some of the most coveted real estate in the area!). For the super active (it is LA after all), get your steps in at the Santa Monica Stairs. Keep it up and you'll have your LA dream bod in no time! Unsurpisingly, the Westside has some of the best eats in Los Angeles. Favorites like The Tasting Kitchen, Rose Cafe, Felix and Elephanté all deserve their mentions as westside hotspots, but no guide is complete without mentioning sister restaurants Gjelina and the more casual Gjusta. Featuring locally sourced, farm to table fare, Gjelina and Gjusta are destination restaurants, not to be missed on any account. Be sure to make a reservation at Gjelina next time you're in town, while Gjusta is walk-in only! With everything from dive bars to upscale lounges to live music venues, Santa Monica and Venice have something for every kind of nightlife fan. With a much more relaxed approach to going out than other parts of LA, it's easy to feel comfortable in whatever scene you're searching for. Set foot in The Bungalow and you'll instantly feel like you're stepping into the coolest California house party. For those who want more of a dockside vibe, head to SHOREBar and dance the night away. 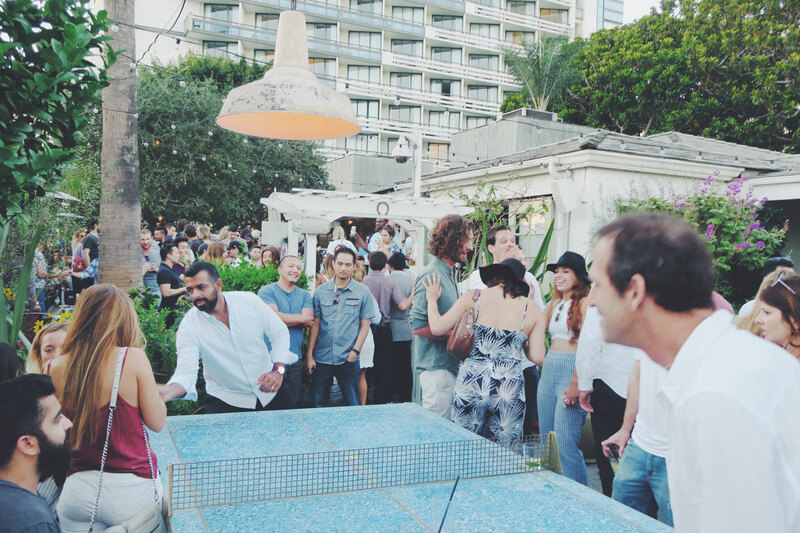 If you're seeking a beach to bar kind of vibe, check out James' Beach or The Venice Whaler, where locals and visitors alike can either keep things chill or turn way up. Last but not least, we present to you High Rooftop Bar at the Hotel Erwin; if you like heatlamps and hot people, this is the spot for you. Grab a cocktail and settle down under a blanket for your front row seat to a California sunset. Often called "the coolest street in America," Abbot Kinney Boulevard in Venice lives up to the hype. Chock full of hip stores, cute restaurants, and chic people strolling in and out of each, Abbot Kinney is a draw for anyone looking to see a calmer side of Venice, juxtaposed against the chaos of the Venice Boardwalk. If Santa Monica is more your scene, don't miss the Third Street Promenade, a highly walkable shopping and entertainment district in the middle of Santa Monica, and the area's main mall, Santa Monica Place.